A conservative activist released another undercover recording of a conversation with a NPR executive. (CNN) -- An activist released another undercover recording Thursday of a conversation with a senior National Public Radio fundraising executive. In the recording, released by James O'Keefe's Project Veritas, the NPR executive speaks with a man posing as a member of a Muslim group about a possible anonymous $5 million donation to the public radio organization. An NPR spokeswoman said the executive has been placed on administrative leave pending an investigation of the matter, but also said that NPR had repeatedly refused the donation offer from the group the man claimed to represent. On Tuesday, the organization released an undercover video recording of another senior NPR executive slamming the Tea Party as "racist" and "scary." NPR CEO Vivian Schiller resigned the following day. In the 44-minute recording released Thursday, Project Veritas' Simon Templar -- posing as a man named Ibrahim Kasaam from an organization named the Muslim Education Action Center (MEAC) -- asks if his group would be able to keep a proposed $5 million donation anonymous. "It sounded like you were saying that NPR would be able to shield us from a government audit. Is that correct?" the man asks. NPR Senior Director of Institutional Development Betsy Liley responds: "I think that is the case, especially if you were anonymous, and I can inquire about that." In a statement released Thursday, NPR spokeswoman Dana Davis Rehm said Liley had been placed on administrative leave. 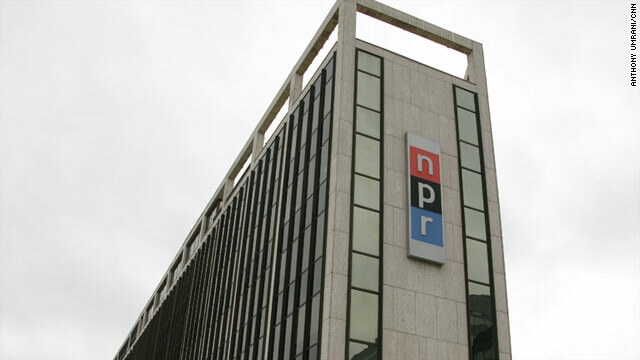 "The statement made by Betsy Liley in the audio tapes released today regarding the possibility of making an anonymous gift that would remain invisible to tax authorities is factually inaccurate and not reflective of NPR's gift practices. All donations -- anonymous and named -- are fully reported to the IRS. NPR complies with all financial tax and disclosure regulations," she said. O'Keefe described the recording released Tuesday as part of a sting operation sparked by NPR's October firing of analyst Juan Williams after he said he gets worried when he sees people wearing Muslim garb on airplanes. Project Veritas said "investigators posed as members of a fictional group founded by 'members of the Muslim Brotherhood'" as part of the operation. Thursday's recording on the Project Veritas website shows a purported copy of a follow-up e-mail from Liley, stating: "NPR can list MEAC as an anonymous donor in our database, which would mean we would not disclose the organization's name. We do not publish a list of gifts, so it would be an issue there." But in the recording, Liley also advises the man that NPR executives would investigate the giver before accepting any large donation, examining tax records, looking it up on a foundation database and checking out other organizations that have received donations from the giver. Liley also raises the possibility of NPR turning down substantial gifts and stresses the "firewall" between the revenue-generating part of NPR and its news operation. Earlier this week, O'Keefe described the motivation behind the recordings to CNN. "My other colleague Simon Templar came up with the idea to have a Muslim angle since Juan Williams was fired due to his comments," he said. "So we decided to see if there was a greater truth or hidden truth amongst these reporters and journalists and executives." Williams has since been hired full-time by Fox News. Conservative activist O'Keefe gained notoriety for posing as a pimp and secretly taping damaging conversations with employees at the Association of Community Organizations for Reform (ACORN). He was also involved in a failed plot to embarrass a CNN correspondent on hidden cameras. The Thursday post by O'Keefe's Project Veritas said "More to come," but did not provide details about any additional recordings.